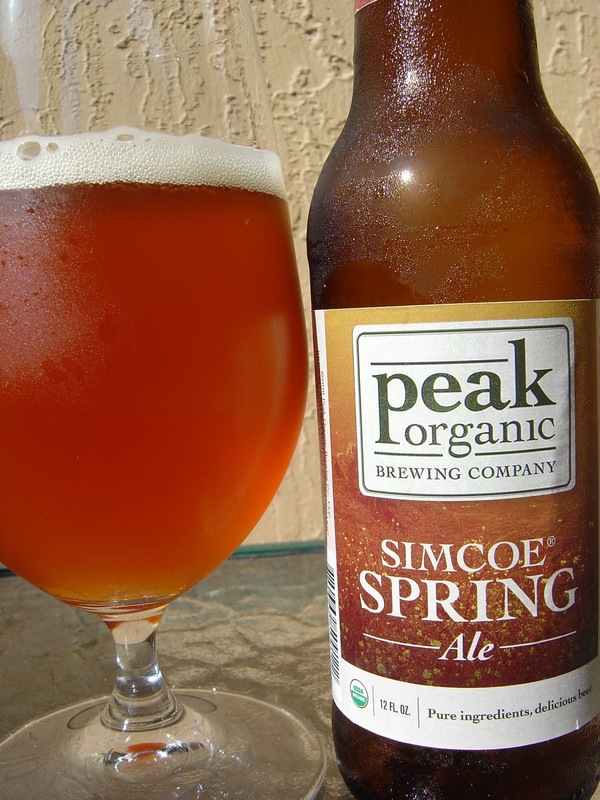 Today I'm drinking Peak Organic Simcoe Spring Ale brewed by Peak Organic Brewing Company in Portland, Maine. Normal drab label for this brewery. Even the bright Florida sunshine couldn't solve that issue! Best Enjoyed Before August, 2011. Distinct aroma--musty ripe fruit--a little strange. Tangy flavors start things off. There are plenty of lemon and citrus flavors to go around as well. Very hop forward, grassy, citrus rind. A small dose of fruit and toasty sweetness do add a touch of balance, but overall this is a mostly bitter, crisp and palate-cleansing beer. Upper level of carbonation works well. You finish quite dry. Not a bad little beer. Easy and enjoyable to drink. RiteBrew - Simcoe (US) Pellet Hops - 1lb.